For a while now I've been drooling over the Kuma series of pillows, teddy bears and totes by designer Ross Menuez for NYC based Areaware (also home of the late Tobias Wong and one of my favorite tea set creators Jason Miller). The bears sadly seem to have been phased out and my tote quota for the year seems to have been reached (thank goodness for the new year!) 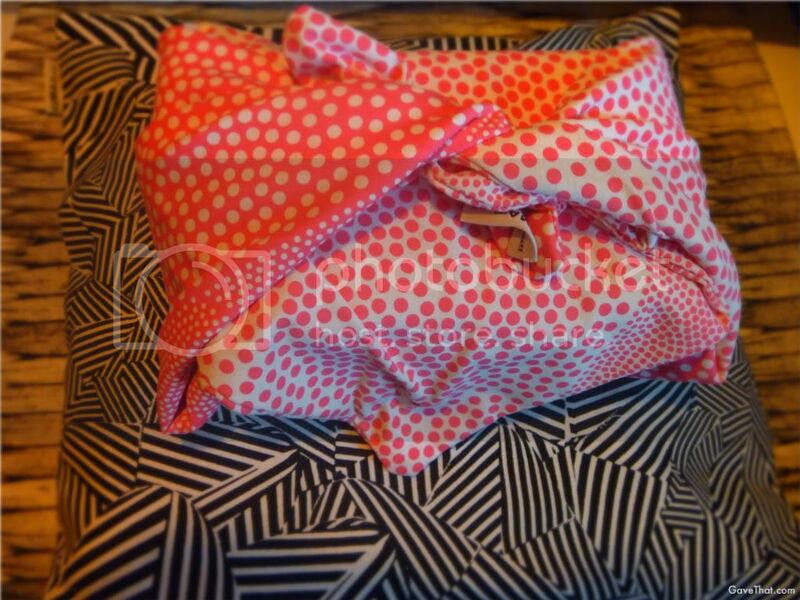 so I scooped up a few pillows in the red dot, fingerprints and tatami patterns. 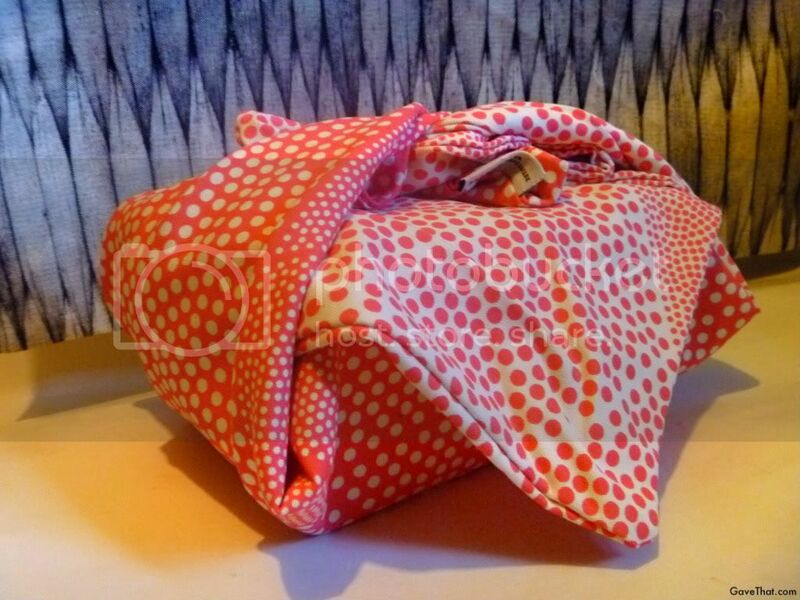 Obviously influenced by Japanese textiles I couldn't help but use the dot one for some Furoshiki Otsukai Tsutsumi style gift wrapping. Works like a charm.